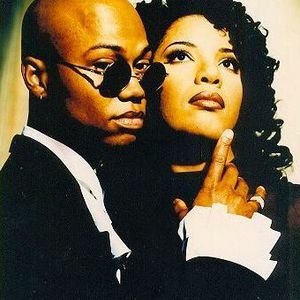 La Bouche was a Eurodance act based in Germany, fronted by black American-German singer Melanie Thornton, who was killed in a plane crash near Bassersdorf, Switzerland, in November 2001. Their most successful hit "Be My Lover" was top 10 across Europe and peaked at #6 on the Billboard Hot 100 in 1996. The group was the brainchild of German producer Frank Farian. In 2000, after Melanie Thornton left the group to pursue a solo career, she was replaced by Natascha Wright with a single called "All I Want". This track didn't chart well, though, and the group disbanded. Meanwhile, Melanie Thornton was achieving large sales with "Wonderful Dream" and was chosen by Coca Cola to perform the theme song for a Christmas Commercial. While promoting this, Melanie Thornton was killed in a plane crash near Zurich, November 24th 2001. To commemorate her death, Kayo Shekoni took the place of Natascha Wright with Lane McCray to release "In Your Life" in 2003 featuring vocals of Melanie Thornton in Europe and the USA. It did well in the US, peaking at #6 in the dance billboard charts, alongside Justin Timberlake. They played various club gigs and a side show with Coolio and Jennifer Lopez. Shortly after that the record company "Logic Records" closed down and La Bouche were left to their own devices. However, they continued touring the US to current date.